In March 2018 Ruby Lake Glass teamed up with Preform, LLC to honor Purple Heart recipients in the city of St. Cloud, FL. 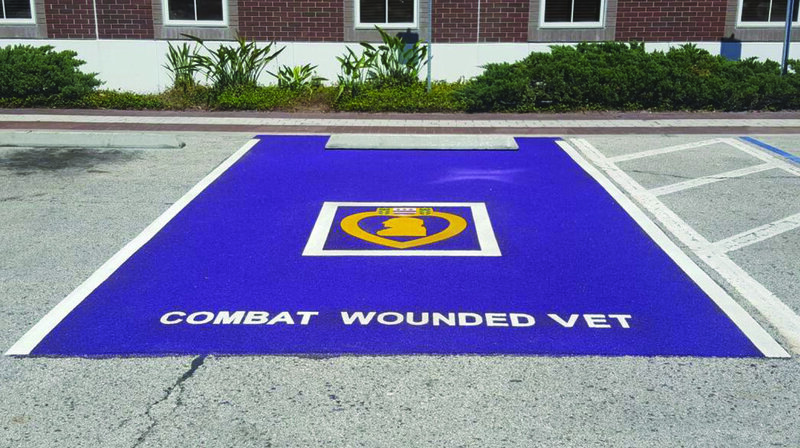 A beautiful purple parking spot was installed at City Hall, located at 1300 9th St with a fantastic preform thermoplastic overlay depicting the Purple Heart Medal and letters that read “Combat Wounded Vet”. 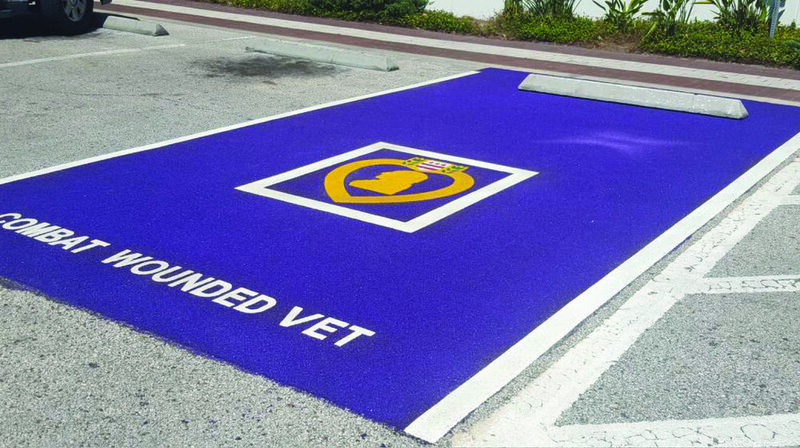 This combination of demarcation technologies created a breathtaking finished product that honors our veterans while catching the eye of anyone passing by. Installation was performed by the talented folks from Aquagenix, a division of DBi Services, the night before a special reveal to folks from the local VFW and representatives from City Hall. 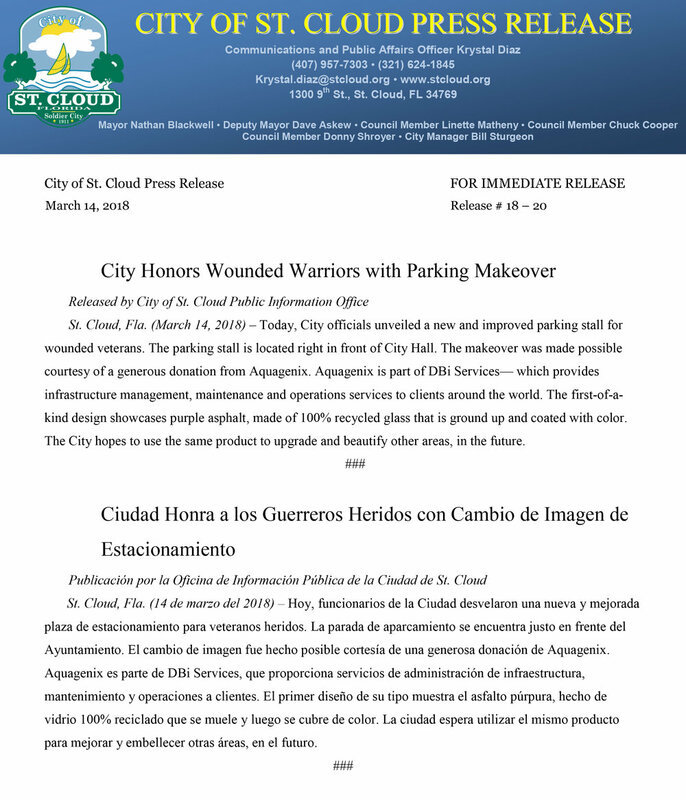 The VFW is hoping to have these parking spots installed at American Legion Posts in the surrounding area.